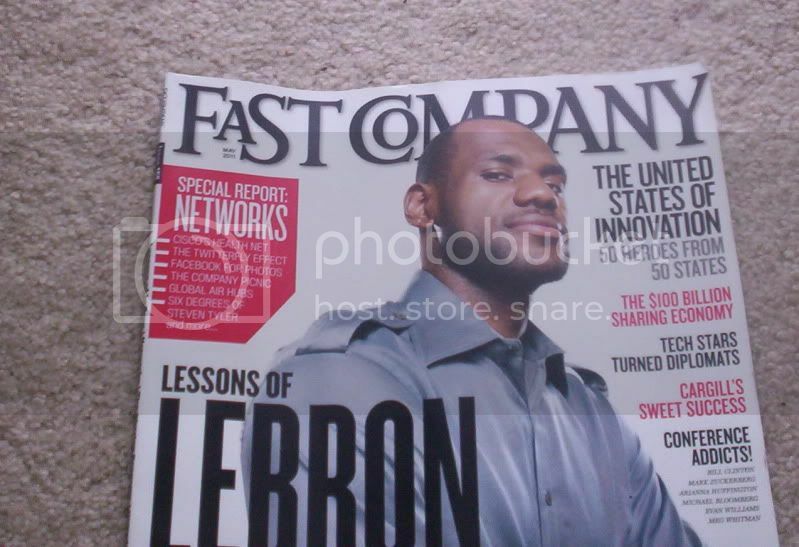 In the May issue of Fast Company Magazine, there was an article called Lessons of LeBron. Though I’ve had the issue out on my desk since I got it, it’s taken me awhile to read it. I figured it would be a lot of chest thumping and hero worship for a man who broke my city’s heart. Yesterday, I was in a good enough mood to be able to read it. The article actually is pretty interesting. The point of the article is to look at LeBron, Bosh, and Wade down in Miami as chemists making a leadership experiment. Few times, if ever, in NBA history, have three key players strategized a way to play with each other, even to the point of leaving smaller market teams where they were the big show behind. The article points out in particular that Wade and James are similar in style, so having them both on the same team is particularly interesting if you’re studying teamwork and/or leadership. Despite all of this interesting talk, the article is still from the Miami point of view. What does this experiment mean for Miami? How is Miami doing? There are some engagement lessons that we can learn from LeBron when looking at him from the Cleveland perspective too, though, and I thought I would offer those up for conversation today. When LeBron first started playing here in Cleveland, he was about 19 years old, I think. But immediately, the way he talked to his teammates, the way he talked to the media, there were signs that he was prepared to be the leader of the team. Often, at breaks, you’d see him huddled with the coaches while the other players listened in. When a bad play happened, you’d hear him barking at the offending player. After the game, when meeting with the press, James would sound more like a coach than a player. What we fans didn’t find out till much later, and what the Fast Company article does brush by briefly, is that James thinks so highly of himself that many in the league now consider him uncoachable. It’s not that he’s an out of control guy like Alan Iverson. It’s just that, well, the kid refers to himself, HIMSELF, as king of the NBA. When people try to advise him or coach him, it doesn’t go over too well. No matter who you are or who you think you are, there is always someone better than you, smarter than you, and luckier than you. It may not be an apples to apples comparison, but there is always someone who can teach you something, even if it’s just their perspective on things. LeBron needs to learn that lesson. He didn’t learn it here. If you want to engage successfully with others, you need to open your heart and mind to other points of view. As the “decision” made its way across Northeast Ohio last summer, little tidbits of what had happened in the off-season for the Cleveland Cavaliers started creeping out. Our coach, Mike Brown, had been fired shortly after the season was over, and our general manager, Danny Ferry, left. The jury was still out on Brown, but by all accounts, Ferry had been one of the more successful GMs in the NBA. Why did he leave? Well, as it turns out, both Brown and Ferry were sacrificed by team owner Dan Gilbert as a way to keep LeBron in Cleveland. Apparently, LeBron James didn’t like Mike Brown and never had (speaking of uncoachable). When Brown was fired, Danny Ferry apparently saw the writing on the wall and realized that essentially James, not he, was the GM of the team. After all of that, James still “broke up with Cleveland,” as the article says, without a word of warning. Here is some basic human advice. 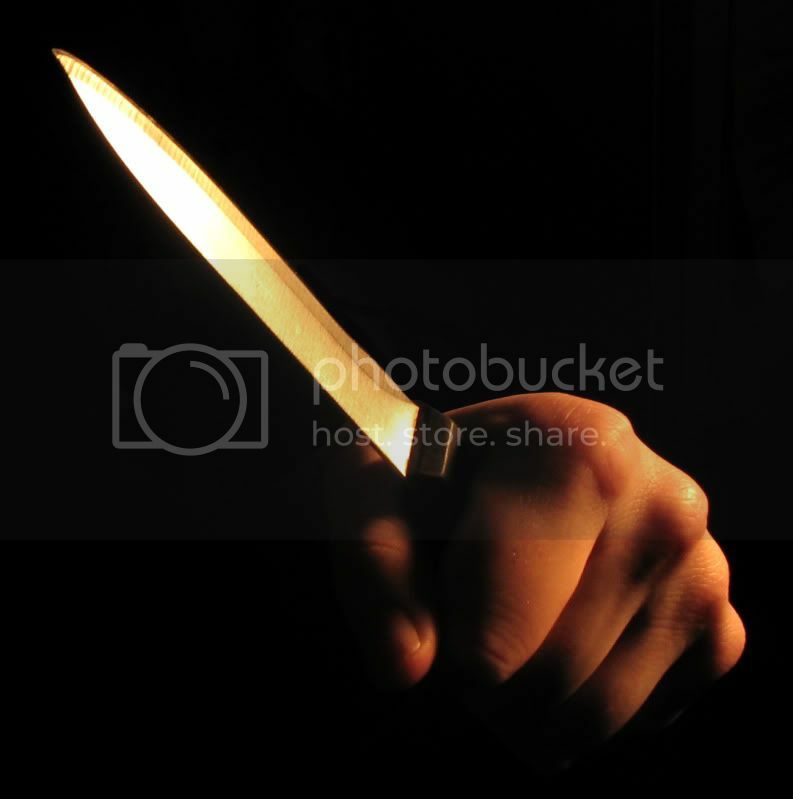 If someone does something huge for you, like, I don’t know, FIRE SOMEONE, it’s probably advisable to at least show them a bit of courtesy before thrusting a knife into the fleshy part of the shoulder blade. If you are asking people, in whatever position you find yourself in, to make sacrifices of any type, you need to respect them as equals when they do it. Otherwise, you’ll end up a villain, just like LeBron did. Through all of his actions, James seemed intent on keeping his promise of cherishing his hometown and of bringing a championship home to Cleveland. But we know now that was all just a silent hissing sound. The whole time, James, Wade, and Bosh were figuring out how they could play with each other, and how they could win a championship for each other. Because of that other goal, there really was never a way for James to keep the promises he was making. The Fast Company folk are right. The Miami Heat experiment is a chemistry experiment in leadership and teamwork. But Cleveland already tried a chemistry experiment. We banked our team’s present and future on a kid who couldn’t legally celebrate his first victories at a bar because he wasn’t old enough yet. We thought that blood was thicker than money and banked on that. We thought that eventually, LeBron would find a partner who could take some of the pressure off the weary king and make him happier. That experiment blew up big time. There is a lot to learn from what the Fast Company article outlines, but don’t forget to also look at LeBron from the Cleveland perspective. It’s a veritable “what not to do” lesson in leadership, teamwork, and engagement. I follow sports pretty closely for NY based teams, and was hoping King LeBron would not come to NY It comes down to not being too big for your britches in a manner of speaking. I had heard “King LeBron” but I thought it was a joke. Too bad he has this much ego at such a young age. Not being able to learn from others is not a good way to engage anyone. I learn something new from everyone I meet. The problem also works in reverse, when management does not listen to their staff, that is a sure way to kill off staff engagement. When members of a team feel unappreciated, they tend to want to leave. This is a great post, now I need to go read that article! The worst is that he refers to himself in the third person, like “Jimmy” from Seinfeld. So scary. You’re right – the lessons can be brought right into the business world, too. Great point!